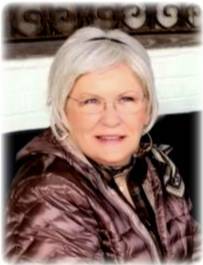 Obituary for Barbara Jane Banks | Bill Head Funeral Homes and Crematory, Inc.
Barbara Jane Banks, age 72, of Social Circle, passed away on Sunday, January 20, 2019. Funeral services will be held at 12:00 pm Saturday, January 26, 2019 at Bill Head Funeral Home, Lilburn/Tucker Chapel, with Rev. Tim Needham officiating. Interment will be in Westview Cemetery in Atlanta. A native of Lilburn, Mrs. Banks was a homemaker and a member of Living Way World Church. Preceded in death by her son, Bryan Lane Banks, she is survived by her husband of 54 years, Jefferson Lamar Banks, Jr. of Social Circle; sons and daughters-in-law, Jefferson Lamar Banks, III (Michelle), Loy Hunter Banks (Mandie) and Leon Houston Banks (Danielle), all of Madison; daughter, Catherine Camille Banks of Social Circle; brothers, Felix Keever of Lilburn and Dan Keever of Hartwell; sister, Emily Bennett; grandchildren, James Nail, Kimberly McDuffie, J.L. Banks, IV, Houston Banks, Piper Banks, Lilah Banks and Rowan Banks; great grandchildren, Bryson Balderas and Madilyn Nail; several nieces, nephews and cousins. The family will receive friends Saturday from 10:30 am - 12:00 pm at Bill Head Funeral Homes and Crematory, Lilburn/Tucker Chapel, (770) 564-2726.